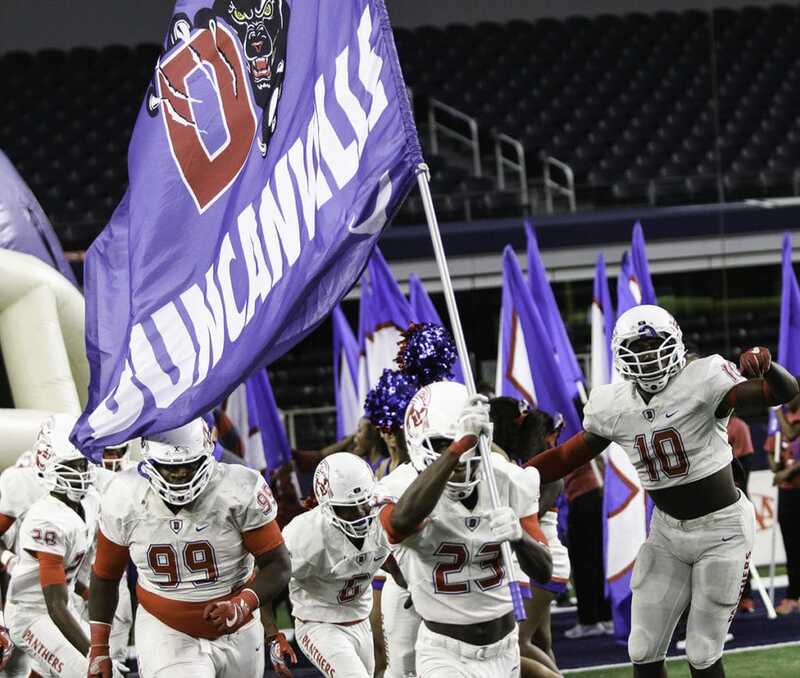 DUNCANVILLE—It didn’t take Duncanville long to strike at Allen’s feeling of invincibility during their recent playoff game. Saturday’s Class 6A Division 1 Region 1 Final was held at Arlington AT&T Stadium. It took only five plays early in the first quarter before Duncanville scored a touchdown against top ranked Allen. Panthers Quarterback Trezon Connley hit Mackendrick Jackson for a 42-yard pass, down to the Allen 4 yard line. On the next play Tre Siggers ran it in for the score. The extra point by Josh Delgado was good. Duncanville led 7-0 with 8:35 left in the first period. Siggers would have 23 carries for 101 yards for the game. The Allen crowd was stunned. Forty seconds later Allen would score on a 78-yard run by Junior Running Back Kirby Bennett. The first quarter ended tied, 7-7. Duncanville drew first blood again in the second quarter. Another 35-yard pass from Connley to Jackson resulted in a score. The extra point by Delgado was good. Duncanville led 14-7 with 3:48 seconds left in the half. But a little over a minute later, Allen scored on a 4-yard run by Bennett. The extra point was good, score at the half was 14-14. Duncanville scored once in the third on a 41-yard field goal by Delgado. Allen went on to add two touchdowns, to lead 28-17 at the end of the third quarter. Allen scored early in the quarter, but Duncanville answered with an 8-yard strike from Connley to Mackendrick Jackson for a score. The two point conversion attempt after was no good. While Duncanville fought back bravely in the fourth they continued to trail by 12. The score was Allen 35, Duncanville 23 with 8:45 left in the game. Late in the quarter Duncanville had the ball, seemingly poised for another scoring drive. On the contrary, Connley was sacked, losing possession of the ball. Allen recovered the fumble, going on to score once more. The final score was Allen 42, Duncanville 23. Duncanville shut down Allen’s passing game during the contest. Linebacker Keyshawn Johnson and Defensive Back Eli Jones kept Allen’s air gain to less than 100-yards. 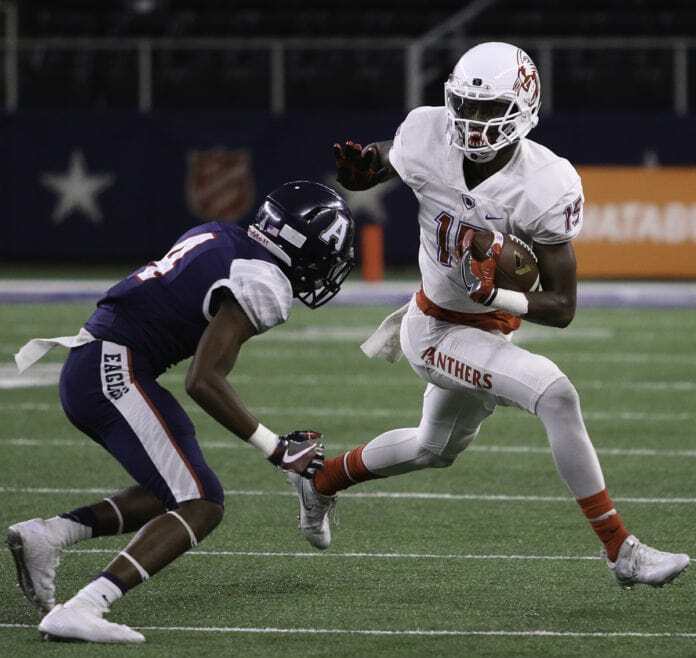 While Duncanville wide receiver Mackendrick Jackson led the Panthers in passing with 101 yards on 5 receptions. 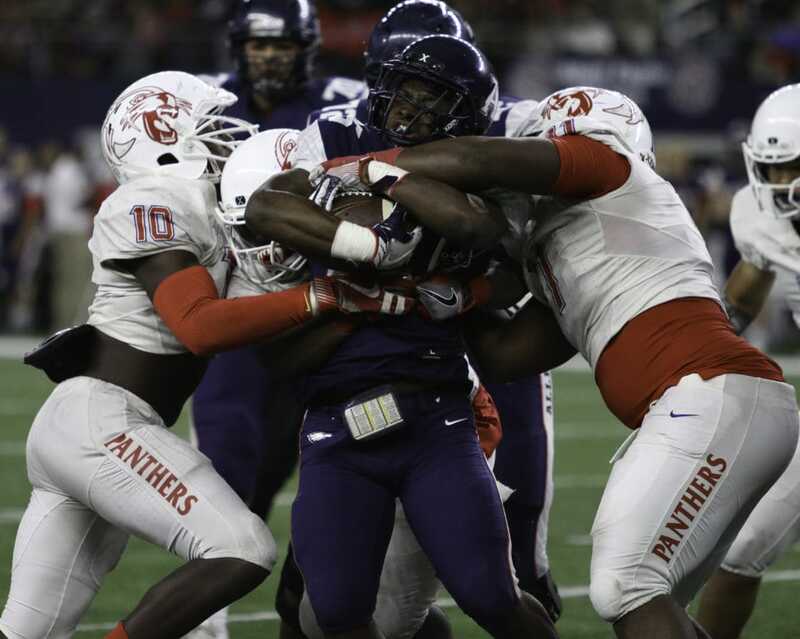 But on the ground, Allen had 344 yards, more than double the Duncanville ground game. The Duncanville Panthers take the field at AT&T Stadium, Saturday, December 3 against the Allen Eagles. Congratulations are in order to Head Coach Reginald Samples and his ball club. This season marked the first time since 2000 that the Panthers have participated in a round 4 playoff game. As a matter of fact, this season is the first time in over 10 years that the Panthers have amassed double digit wins. Congratulations Coach Samples and we look forward to next season.